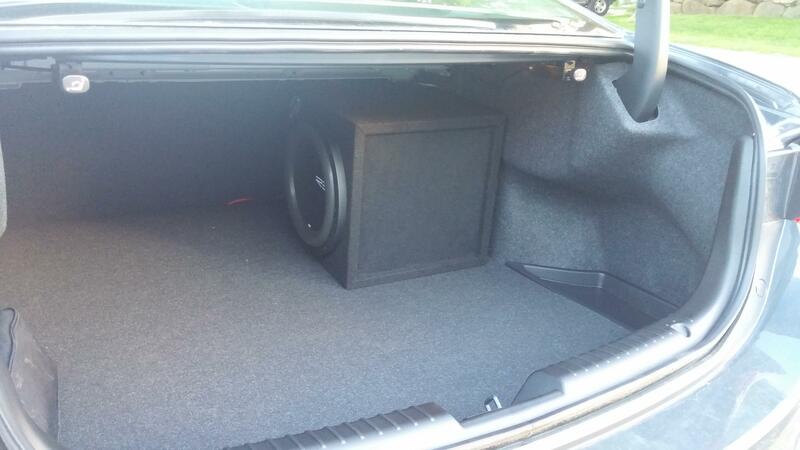 I recently installed a subwoofer and amp into my 2016 Mazda6 Sport without the Bose sound system. I have decided to do a write up on this because it took me a bit to find all of the information I needed to start this project and I figure one place with all the information you should need would be nice. I think some of the steps and items I use would work for the Bose sound system as well but I am not sure so I hope someone tries doing an install as well and does a write-up on it. If anyone does and they come across my post, feel free to message me so we can link each other’s write-ups. 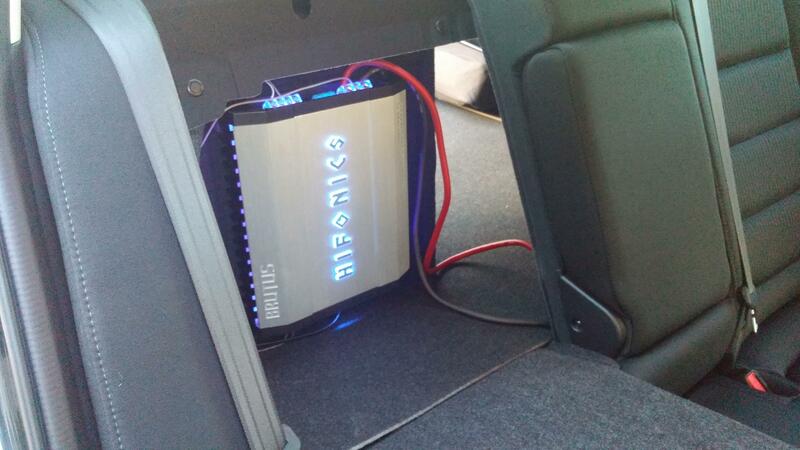 Note: For the LOC, it was just plug and play for my vehicle. I saw the same LOC on multiple websites and most said that it does not work for Bose sound system but one or two said that it did. Every site I saw also said that it does not work for any 2016 but I tried it anyways and it worked perfectly. I saw someone say that it worked very well for them as well but they had to cut the remote turn on wire and move it to a different slot in the LOC but that would be simple if you have to do it. Pull the battery out of the engine bay. You should be able to see an ‘x’ in the firewall behind it where I believe the clutch would have passed through if the car was a manual transmission. Drill whatever size hole you need through the ‘x’ or near it like I did from the inside of the car. It’s very easy to access but it is hidden behind some pre-cut insulation near the driver’s feet. Place your grommet of choice in the hole you drilled and run your power cable from the inside of your car through the grommet and into the engine bay. Put your battery back into the car. Cut the power cable to length so you can attach an in-line fuse(it’s recommended you have the fuse as close to the battery as possible). Attach the power cable to the positive battery terminal. Either attach the rest of the power cable to the other end of the fuse and tape the end off of the power cable that you will be running through the rest of the car or attach the power cable to the fuse after you are done running the power cable. To wire behind the kick panel, start with taking off the runner along the driver door. Remove the runner trim by lifting up and wiggling side to side. 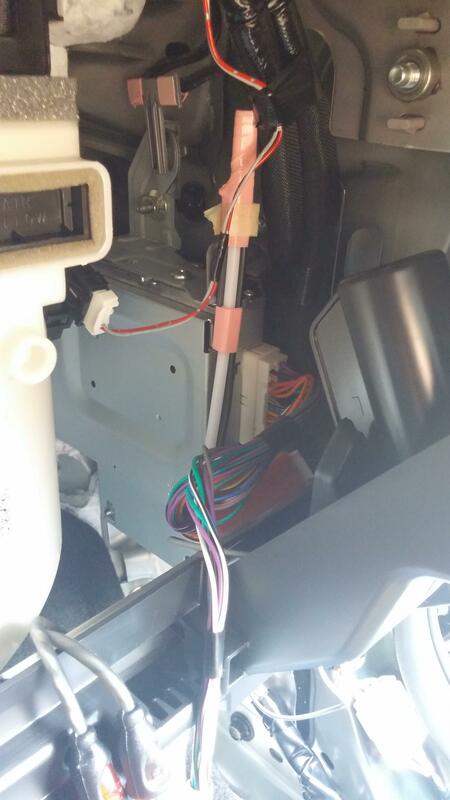 Then unscrew a holder towards the back of the kick panel by the driver’s feet. Pull the plastic trim out from the bolt you just released. Wiggle and pull the panel towards the back and middle of the car at the same time and it should start to give. I didn’t take the kick panel all the way off, I just got it out a little so I could slip the power cable underneath it. You can pull the power cable through the kick panel even easier if you remove the fuse box cover. Lay the power cable along the runner that you removed earlier. Remove the runner along the rear left door. Then similar to the kick panel, pull outward on the middle(b pillar) trim. It should be pretty easy to do as well. I did not fully remove this trim either, I just got it up enough to slip the power cable under. Lay the power cable along the runner. To get past the trim that runs along and under the rear seat, you will just need to find the end of the trim that goes under the seat and lift it up so you can slide the power cable into it. Do this by lightly lifting up on the seat until you can see where the trim ends. With your other hand, slip the power cable under the trim and pull towards the door. Slip part of the power cable between the seat and outside edge of the car and move the power cable fully under the trim. You should then be able to reach the power cable from behind the seat with your finger tips and pull the power cable through to the trunk. I wanted my subwoofer on the passenger side of the trunk so I lifted up the carpet between the rear seats and the trunk and found a nice open area to run the power cable along and out of sight. You have then completed running the power cable. My amp came with a bass knob so I ran it along my power cable in reverse order and wired it to come out from the runner on the driver trim and go under my seat up near the center console. I think it looks good and is barely noticeable. But feel free to put yours wherever you want. Disclaimer: I did some research and don’t think that the bass knob will be affected by the power cable it runs along. The knob uses RJ-11(Phone cable) and I believe that is voltage based and therefore fields created from the power cable will not negatively impact it. I am not an expert on this so it is up to you how you want to do this. I have been running the sub for a week and have not noticed any issues. Remove a plastic cover above where the passenger feet go. There are two clips and then it just pulls out towards the passenger seat. Remove the glove box completely. To do this, open the glove box and push in on both sides of the box while pulling the glove box further open. Once the two stops come out, remove the arm attached to the glove box by simply lifting it up slightly. Then the glove box should be able to pop out pretty easily. Remove the passenger runner trim by lifting up and wiggling side to side. Again, do this gently and firm at the same time. It’ll pop out. To remove the passenger kick panel, remove the screw holder up near where the passenger feet go and pop the trim away from the bolt that you just released. 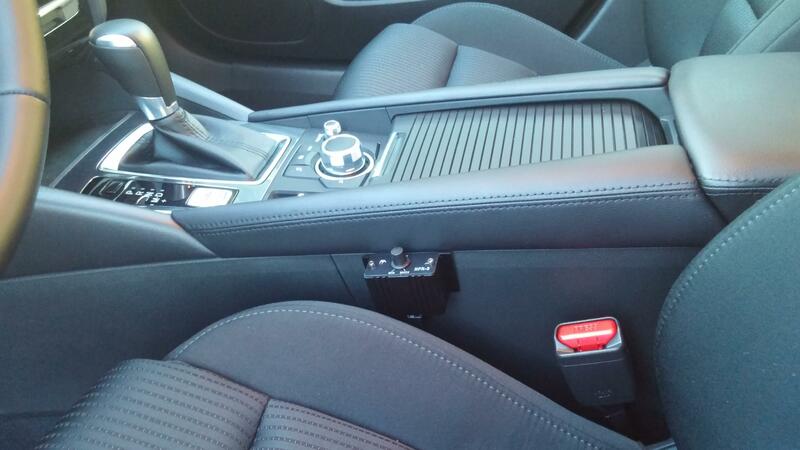 Grab hold of the kick panel and pull towards the back and center of the car at the same time with a little pressure. Lightly shake it while you do this and it should start to come out. It can help to pull some of the rubber trim that runs along the entire car out a little to release the kick panel easier. If you are using the same LOC that I chose, this is where you will plug it in. Looking through the glove box hole, there is a silver box with a plug sticking out of it on the ‘rear of the car’ side. The clip to release this plug is on the back side so it is a little difficult to reach but once you get it, the plug comes right out. Then, your LOC has a male and female plug that lead to it. Plug the male end into the car and the female end into the male end you removed from the car. I then shoved the LOC up into the depths of the glove box area as far as I could with the RCA cables and remote turn on wire aiming out of the glove box. Attach your male-to-male RCA cables to the LOC RCA cables. Wire your remote turn on wire to the remote turn on wire of the LOC. At this point, you are now ready to run both the RCA cables and remote turn on cables along your car trim. Do this the same way you did your power cable. This is even easier because you don’t need to pull the trim up as far. 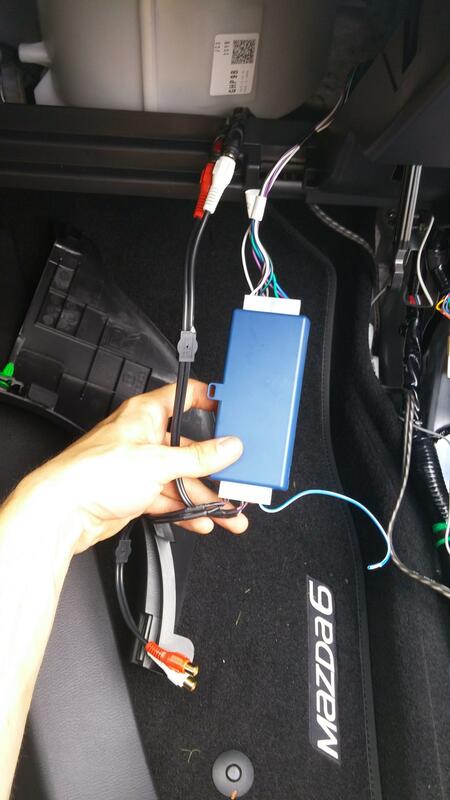 I had a hard time finding a nice place to attach my ground cable to the car. I ended up finding a big bolt under the carpet between the rear seats and trunk right where I ran the power cable from the driver to the passenger side. There is probably a better bolt to use than this but I checked it for continuity and it was fine. I sanded some of the metal surfaces to get any paint off and attached the ground cable to the bolt. I have not had issues with this so far. Attach your Power, Ground, RCA, Bass Knob, and remote turn on cable to your amp. Attach your amp to your sub if you have not already and enjoy!!! How did you attach the bass knob to the console? Thanks for this guide, this is my first install and this is going to be very helpful. I put the knob in the glove box - don't really have to adjust it ever time. I got it pretty well tuned that I can control it even from the audio settings. Just wondering why you didn't place the sub facing backwards or forwards? Backwards generally results in better bass performance. Did you try the sideways sub and found it sounded better? I attached my sub control to the center console. I attached a photo of where I put it. I just used sticky velcro. Some double sided tape should work as well. I listen to so many kinds of music that I like to be able to change the bass levels on the go. The reason my sub is turned sideways is exactly why you said, I tried turning it each direction and I found that sideways sounded the best to me and it created the least amount of vibrations. Not that any direction created much vibration but just a little.